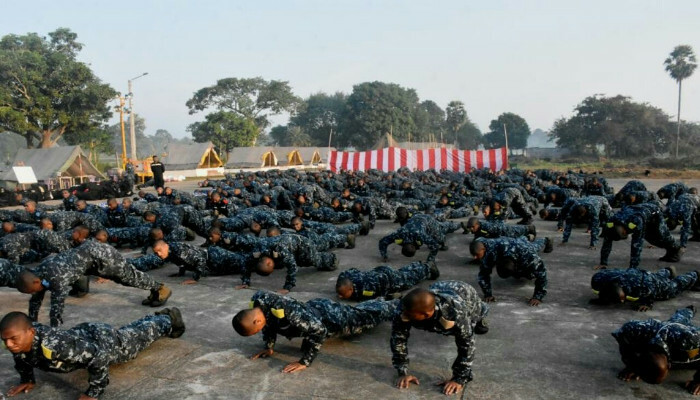 1,400 trainees of Batch 02/2018 at INS Chilka participated in ‘Camp Jagrat’ conducted from 19 to 24 November 2018. 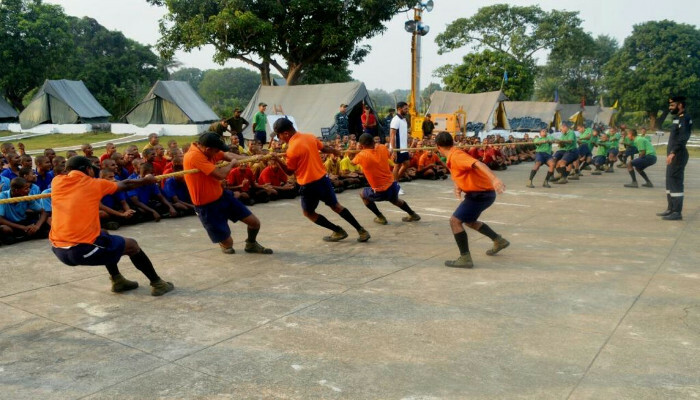 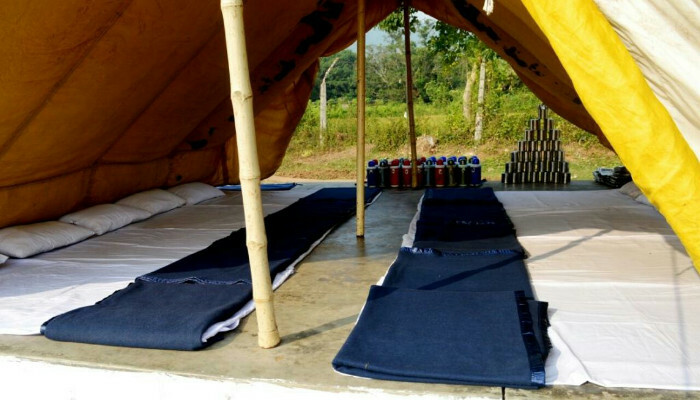 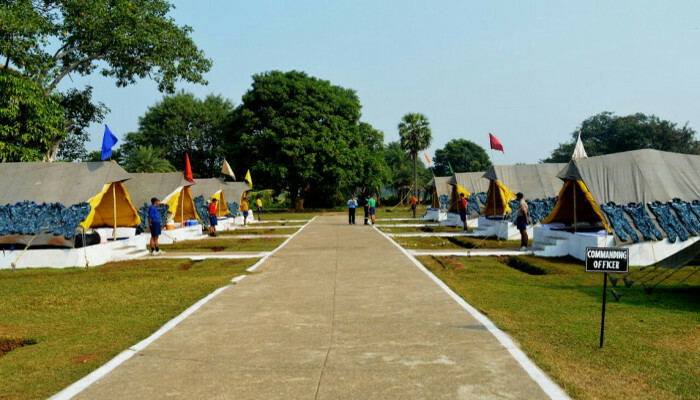 The camp was categorised into six different phases, each comprising various activities such as endurance runs, obstacle clearance, seamanship drills and evolutions, land combat competition, tug of war, inter-divisional tent pitching and 'Josh Run’. 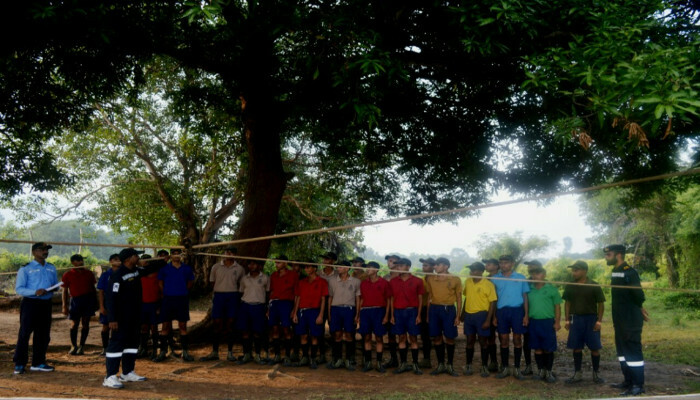 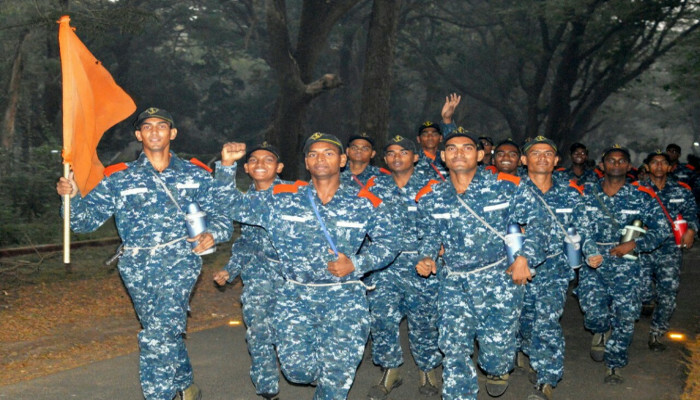 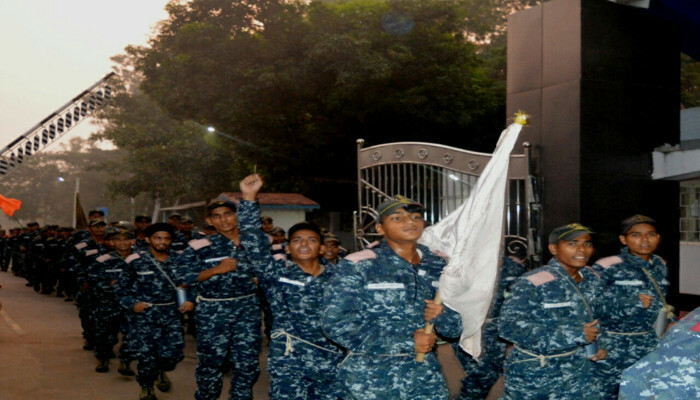 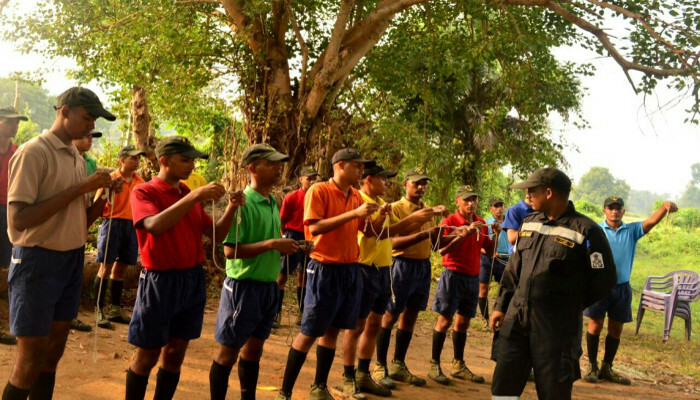 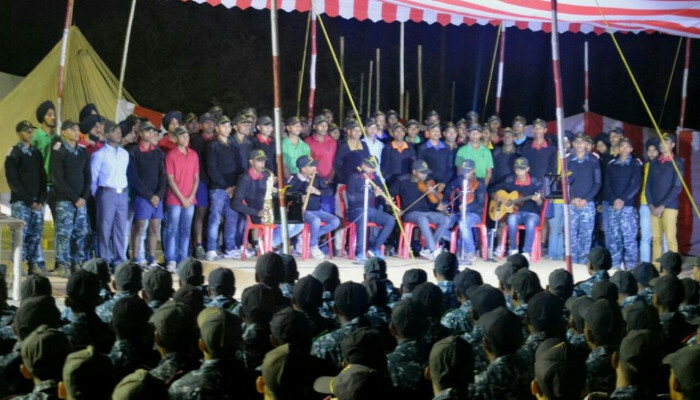 The aim of the camp was to develop esprit-de-corps, camaraderie, leadership abilities, physical endurance as well as mental strength under conditions of stress and to inculcate the Indian Navy’s core values of Duty, Honour and Courage in the trainees. 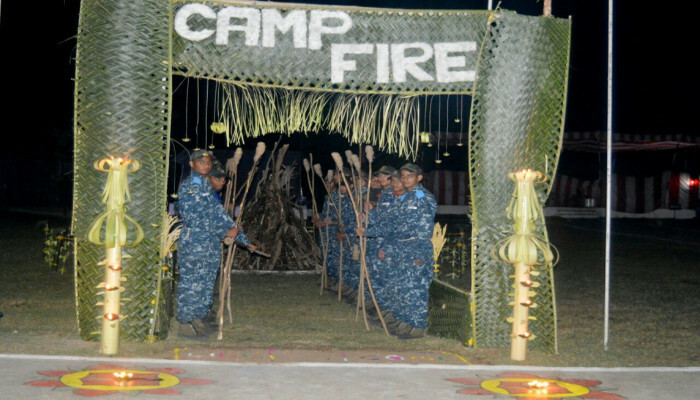 The camp concluded with a cultural program and camp fire at the camp site. 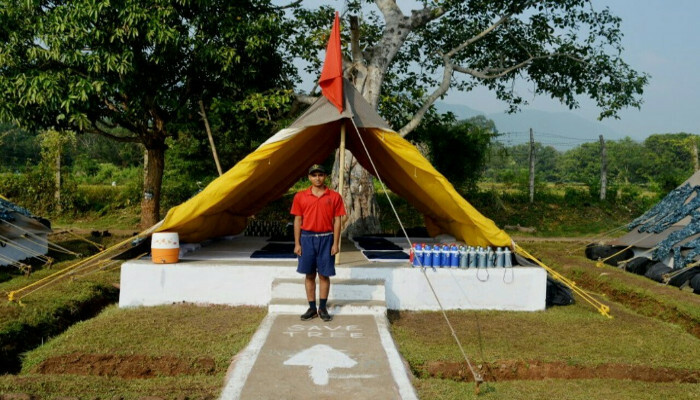 Commanding Officer, INS Chilka congratulated the participants on completion of the camp.